Imagine, all vehicles on our roads are running on electricity. Vehicles will be as silent as a sleeping baby and zero tail-pipe emissions! This is not a dream any more. This can be a reality sooner than we imagine. This is, in fact, more of a necessity for ecologically sensitive regions of our country, like the North-East, where there is merit in looking at eMobility — preferably with sustainable solutions. But before we start imagining a bright and pollution-free future, we need to understand the challenges, opportunities and requirements of such a future. The North-East region of our country has special needs which is contrary to the plains in India. 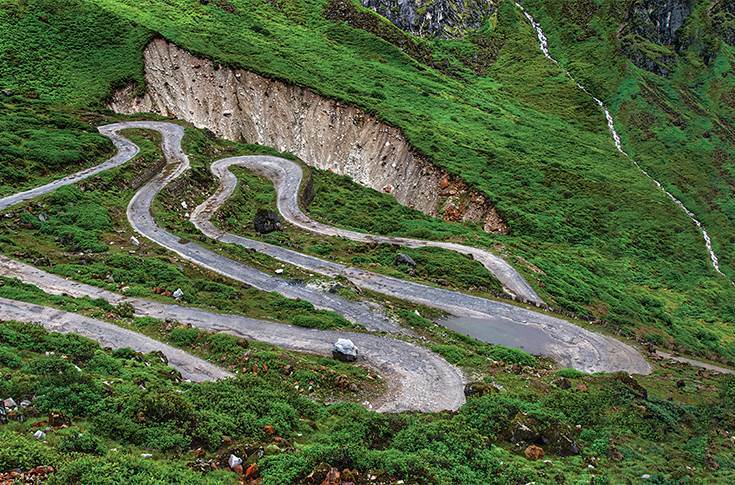 Here, roads are narrower in the hilly areas with sharper turns, making navigation of big vehicles a huge challenge. Monsoons being a prominent season of the year, heavy rains will take its toll on the roads, resulting in roads which will be in bad shape during this season. One can even expect short stretches of water-logged areas during and after the monsoons. Duty cycles of any kind of transport will necessarily include high gradients as well as downward slopes. While high gradients will need a powerful vehicle, slopes offer an opportunity for better regeneration of energy for the batteries. Aftermarket maintenance support will be crucial for operations, even though the location of such service access points will be widely spread out. The North-East has special needs contrary to the plains in India. Here, roads are narrower in the hilly areas with sharper turns. Due to the characteristics of the roads here, higher clearances between the road and the vehicle are a must. The angle of approach and the angle of departure also become very important, especially while negotiating sharp hairpin bends with high turning gradients. The energy source of the eBus, the batteries, will need to be kept higher in the vehicle while still being in the belly area of the bus. Moving them absolutely to the top, which is the roof, will not be prudent as the centre of gravity will also move higher up, resulting in higher levels of instability. The amount of battery that can be put on the roof, if at all, needs to be minimised. For replenishment of the batteries, the power supply from the generation sources needs to be beefed up. Both, the amount of energy as well as the strength of the grid, need to deliver concentrated power to charger group facilities. The real estate for charging infrastructure should ideally be kept flat. Since such real estate is a premium in these regions, the battery and power supply (grid) should be such that the time for charging is minimal and there is a continuous and harmonious flow of vehicles moving in and out. While permits are no longer required for electric vehicles as authorised by MoRTH, the focus should not be just on acquiring a product but on a solution. No single product or technology or solution is going to fit all the needs. We will need specific solutions and products for specific routes and locations. That solution should include route planning, parking, charging, right kind of vehicles that are required, grid strengthening, and energy planning. 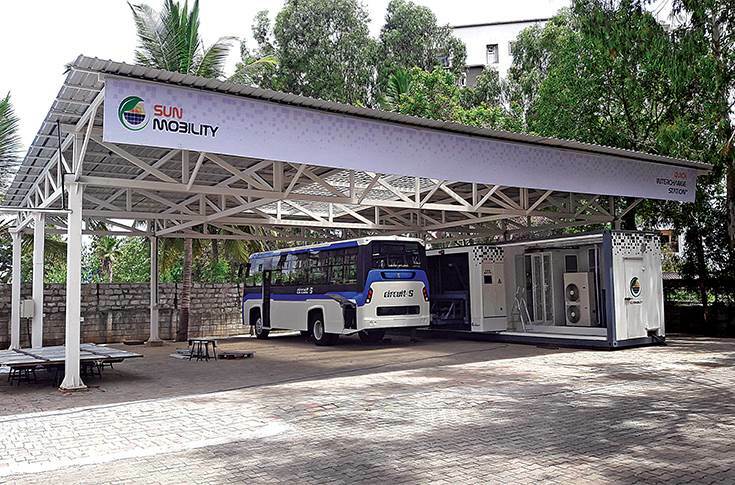 Air-conditioned bus applications will need very special arrangements owing to higher levels of energy consumed. This is a far bigger issue in EVs than in diesel-engined buses. - First, for the vehicle-related solution mentioned above. - Second, for preparing the real estate to park and charge the vehicles. - Third, for preparing the energy supply. Call it funding or contract cost or cost of acquisition, these need to be good and attractive. The recent UP tender terms are a good benchmark as well as the contract draft being prepared by NITI Aayog. Keeping in mind that the suppliers will need to invest upfront, they will need a bankable document and hence the importance of a good contract. 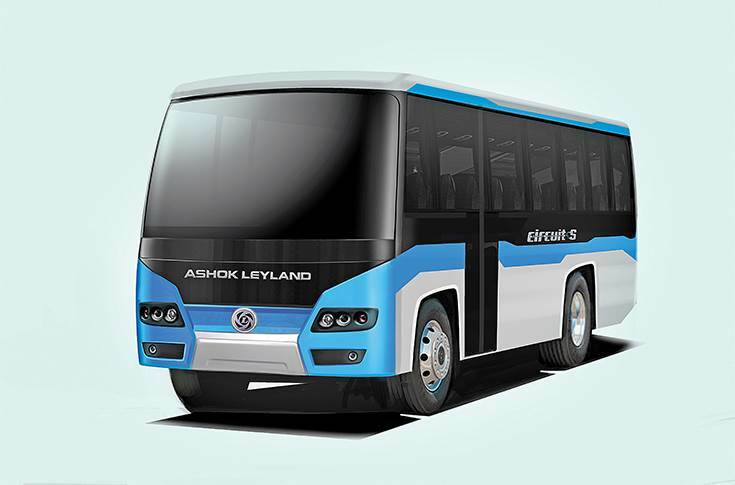 Circuit S, Ashok Leyland's first electric bus, is powered by Sun Mobility’s swappable Smart Battery that is small and one-fourth the weight of a regular lithium-ion battery. For remunerative routes of public transport, there needs to be options for higher profile users (people with higher willingness to pay for high-quality mobility, and those whom we want to wean away from self-driving cars and share taxis) as well. In the main cities, private enterprises must invest in high-end bus services where ticket pricing would be driven by market forces without any ceiling on rates. Scoping should be done to bring in innovative ticketing such as Direct Benefit Transfers for the commuter to use public transport, with the sole aim of increasing ridership in public transport, and thereby, reducing the metric of passenger per square metre of road space. This is key to reducing congestion which is a far bigger problem with the increasing size of cities and urbanisation of rural areas, where introducing EVs alone, will not solve the larger problem. The commuting public will not be affected since these services will be additional to the public transport provided at subsidised rates by the government. These services will be revenue neutral to the government but very positive for the air quality and overall environment. Last but not the least, last-mile EVs with higher-capacity seating as compared to eAutos and eRickshaws is another area where private enterprises should be permitted to play in the market directly, with revenue-neutrality to the government. In conclusion, I’d like to say that we have the technology and the skill to make our EV dream come true. All we need to realise this dream is smart thinking and even smarter planning.